Benko Art Gallery is ramping up live painting exhibitions in 2018. 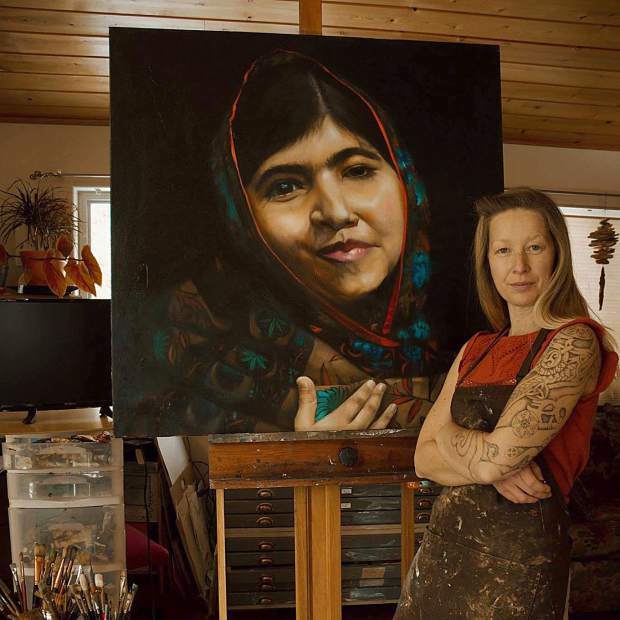 Shelley Zentner, founder of Tahoe Activist Artists, poses with her oil painting of Malala Yousafzai, the Nobel Prize-winning campaigner for Girls Rights to Education. 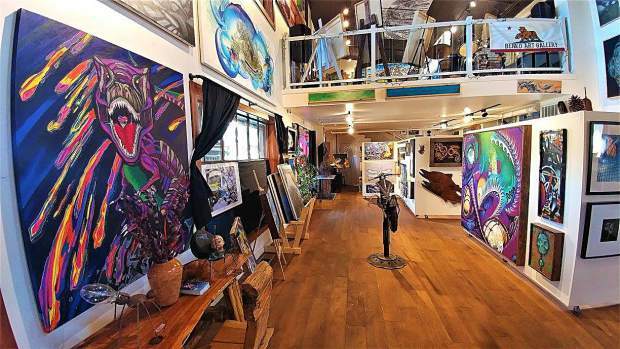 Located at 3979 Lake Tahoe Blvd., Benko Art Gallery showcases contemporary fine art. Last year brought a mix of new things to South Shore’s art scene, and it’s a trend that’s expected to continue in 2018. From the establishment of new nonprofits to the expansion of pre-existing ones, local creatives are united in looking for ways to grow the organizations and get more people interested in supporting the arts in South Lake Tahoe — and the basin as a whole. And much of this will likely be attained through collaboration and partnerships between the various arts-focused groups. Elston added that she’s currently in the process of working with LTCC to hold dates in its Duke Theatre for a Valhalla production later this year. “We do really want to work with them. 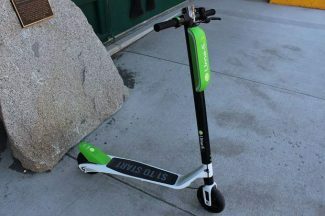 The experience was very positive,” she said. In addition to its collaboration with the college, Valhalla’s past year saw attendance growth at its Art, Music and Theatre Festival — which offered a longer-lasting schedule in comparison to previous years. “Last year was the first year we expanded the festival into fall. That turned out to be a very successful idea, and we’re continuing that this year. It allows for more music opportunities in September, and helps expand into shoulder season and also allows for a fall play,” said Valhalla board member Rae Matthews. Since 2015, the festival has grown by 87 percent in attendance and revenue, according to Elston. With the jump in attendees, the success has provided Valhalla the opportunity to be flexible with its season and push it into fall (in past years it has been confined to summer), along with increasing its staff. “We are growing, and we’re super proud of it. At Valhalla Tahoe we just hired an executive director, and I’m working alongside the person in terms of fundraising and administrative skills. 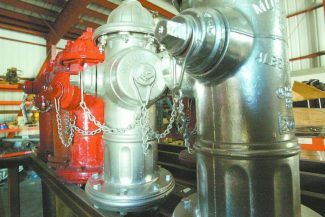 It’s going to expand our organizational capacity, which will help the festival, technical upgrades and site maintenance,” Elston noted. Valhalla will additionally host a mix of local and regional musicians, artists-in-residence (in both fine and performing arts), workshops, its annual WordWave One-Act Play Competition and the Tahoe Improv Players. The nonprofit is also currently accepting submissions from directors who would like to produce one of the two plays for its 2018 season. The deadline is Friday, Jan. 19, and additional information is available via http://www.valhallatahoe.com. But partnerships aren’t limited to those in the performing arts. In addition to her role at Valhalla, Matthews serves as board president at Tahoe Arts Alliance, which came to fruition in 2017 after unofficially forming a year prior. The group’s mission is to advocate, promote and connect the arts in South Lake Tahoe — and according to Matthews, it’s growing rapidly. As the nonprofit grows, it looks to not only support other arts-focused organizations, but also provide recommendations and resources to planning commissions as it strives to supply a united voice for arts in the community. Tahoe Arts Alliance’s major 2017 project was managing the city gallery in the Lake Tahoe Airport. As far as 2018 goes, details have yet to be finalized. “We have new events that we want to bring to the community. We want to help bolster public art and we’re working on a new public art plan for the area and region. We’re working on bringing more recognition to current-working local artists — we’re right at the beginning stages of hashing out details,” she said. In a similar vein, the recently formed Tahoe Activist Artists wants to see further collaboration in the arts lead to a more compassionate world. The nonprofit, which has nearly tripled in size since it began, was created in the wake of the most recent presidential election. Last year, Tahoe Activist Artists held two shows: We The People and Rising From the Fire. We The People was the nonprofit’s first event, and featured a demonstrative march across town to the show, which was held at Tahoe Mountain Lab. “We work together to use resources and talents to create work that raises awareness of issues that we feel are important. We feel like we’ve got a lot of energy and we’re still feeling very motivated and active,” Zentner said. In 2018 the organization has multiple partnerships planned with social activist groups, but some details have yet to be released to the public because they remain to be finalized. Expect a #MeToo pop-up show based off the movement of the same name, which sparked after a multitude of national sexual harassment claims. The group will also organize a women’s march that collaborates with the national event in late January. There is also change afoot at local art studios and galleries, including the newly established High Vibe Society Artisan Collective and Benko Art Gallery, which opened in 2017 and 2016, respectively. High Vibe Society launched in July with the intention of connecting fellow creatives on the South Shore through its studio and gallery. Come 2018 the organization will increase its event offerings, which are expected to include workshops and classes taught by local artists. Benko Art Gallery, which showcases contemporary fine art, is also looking to broaden its selection of events. In 2017 the gallery hosted an after-party for Sample the Sierra, and owner John Benko is interested in continuing the trend. “We’re really pushing that this coming year. Right now basically we change out one-third of the art every month on our main floor. 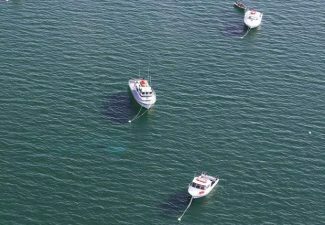 We’ll do an art show and opening reception for new artists on board, and we’re still going to do main monthly art shows, but we’re also going to do weekly music events starting in spring,” he noted. This will range from DJs to live bands, and Benko also expressed interest in a possible open mic night. The gallery is also looking to increase the amount of times live painting, sculpting and jewelry making is exhibited on-site. “It’ll be a chance to really see art in action. During each music event we’ll have that going on,” Benko said. His gallery is also home to South Shore’s first augmented reality show, which is expected to run through the beginning of February — although Benko Art Gallery will adopt the technology in the future. “It’s been a really cool reception so far,” said Benko. “We’ll probably do a closing reception for the show and incorporate that permanently. There are a few pieces here that always will be interactive, and we’re going to incorporate it into my own art and a few other local artists. The new technology fits in well with the start of a new year and evolving art scene. Editor’s note: This story was part of the Tribune’s annual progress edition. Check out the e-edition here.